In an effort to expand health coverage to all consumers, the Patient Protection and Affordable Care Act (ACA) created new online marketplaces, also called exchanges, where individual consumers, families and small businesses can go to purchase health plans. In addition to these exchanges, private exchanges are also available to sell health insurance to individuals and groups. 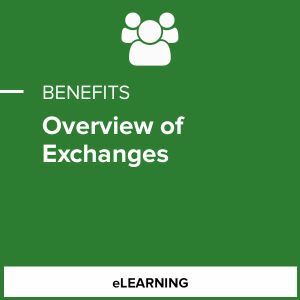 This course will define and differentiate the three main types of exchanges and the health coverage available through each.